San Antonio’s tech community came home from 2018 South by Southwest with more than 500 resumes after scaling back its high-tech sizzle and focusing on being inviting and neighborly. The previous two years, the city and the private sector host large-scale “activations” at Austin bars and inside the Austin Convention Center trade show. Instead, for 2018, the city worked with Tech Bloc to hold court at the SXSW job market fair March 10 and 11 at Palmer Events Center. There was no shortage of job seekers providing resumes and learning more about what San Antonio’s growing tech sector - and the community - has to offer. “We’ve been asking would you be willing to pack up and move for an opportunity, and everyone has been very excited and saying yes,” said Ashley Jones, the organization’s operations and community manager. She said a few thousand attendees visited the Tech Bloc/San Antonio booth and more than 500 submitted resumes. Other cities, regions and countries were also promoting the economic strength of their local high-tech and creative economic industries. This year, Fort Worth Now - a brand backed by the city government and several local private sector members - transformed the Fair Market events venue on East Sixth Street into a showcase for that city’s innovation, tech and culture. The venue for two days was complete with a few select Fort Worth-area entrepreneurs displaying and selling wares and services; cocktails made with whiskey from a local distillery; beers from a local brewery; and food from local caterer and restaurant. There were also panel discussions, exhibits and performances involving Fort Worth-area participants reflecting their local industry, be it tech, aviation manufacturing, filmmaking or musicians. The city of El Paso built on its 2017 SXSW participation by collaborating this year with El Paso County, city of Las Cruces, Borderplex Alliance and Destination El Paso in a larger trade show presence at this year’s South by festival. Additionally, two the University of Texas at El Paso, New Mexico State University and six regional startup companies were represented at this year’s SXSW trade show. 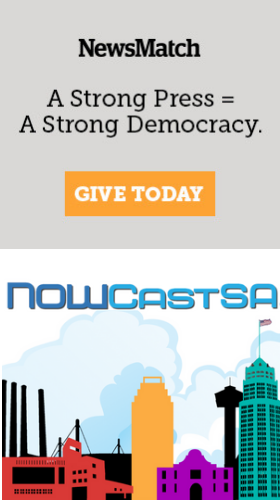 A NOWCastSA preview of San Antonio’s participation in this year’s SXSW includes an interview with San Antonio Economic Development Director Rene Dominguez, who said the city felt obliged to scale down its presence at this year’s conference. But, he added, there could always be a bigger showing in future SXSW editions with collaboration from the private sector. Jones said Tech Bloc is more detailed in helping to promote San Antonio’s tech ecosystem and the community at large. Visitors to the Tech Bloc space included people who have never worked or lived in the Alamo City, and natives who have been away for some time but are eager to return to San Antonio. Jones said some tech workers in Austin are seeking opportunities in San Antonio because they feel a little overwhelmed by the rate of economic growth, construction and newcomers in the state capital. “That’s exciting to us. We’re ready for the growth,” she added. That growth includes local startups such as Blue Duck Scooters, which recently debuted by providing free rides to passers-by at South by Southwest. Based in downtown San Antonio at the Pearl, Blue Duck is promoting its scooters - named “Ducks” - as another option for quick, easy neighborhood transportation, much like B Cycle. “We are going to change the game in transportation that will make it fun and easy for people to get around,” Blue Duck’s Alejandro Perales said on his Twitter page of the company launch. Meanwhile, other native and current San Antonians talked at SXSW about tech, and growing their business or brand. Several attendees gathered at the JW Marriott Hotel pool terrace one evening for an edition of Fuckup Nights. Irene Chavez, president of La Maestra Consulting, organizes the San Antonio version of Fuckup Nights, in which entrepreneurs briefly exchange anecdotes of personal or professional failures, and how they’ve learned from their mistakes or shortcomings. San Antonio’s Melanie Mendez-Gonzales, the brains behind the Que Means What blog, volunteered to share her tale. Mendez-Gonzales talked about how she felt “not Mexican enough” because, despite her heritage and growing up in Texas, she is not fluent in Spanish. “It felt very disconnected from my heritage, my culture and, really, I felt uncomfortable, that people were looking at me and judging me,” she added. Mendez-Gonzales began a blog, “Que Means What,” which has evolved one of the most-visited San Antonio blog sites. She became an entrepreneur, learning how to grow her brand. “Then I learned that one of the most important things in a business, what I failed to understand, was that I needed to diversify my income,” Mendez-Gonzales said. She established herself enough to get invited to pitch an idea to speak at a conference for Latino/a bloggers. But she was rejected. The next year, Mendez-Gonzales pitched a new idea to the same conference only to be rejected again. She was confused and frustrated, feeling rejected within her culture and sphere of influence. Mendez-Gonzales said she felt so discouraged that giving up blogging seemed like the right thing to do. “But something inside me said no, no, no, not yet,” she recalled. Mendez-Gonzales then proposed an idea to speak at South by Southwest. And it worked. In 2015, she took part in a SXSW panel as a Latina mom raising the next generation of coders. The next year, Mendez-Gonzales organized a SXSW meetup for Latino/a bloggers. Last year, she was part of a SXSW panel encouraging diversity among visitors to parks and natural areas. “I almost gave up and, just in time, things turned around for me,” she added. San Antonio native Hector Perez was part of a panel about helping military veterans to transition from the battlefield to a tech career. A U.S. Air Force veteran once stationed at Joint Base San Antonio-Lackland, Perez is now an executive with Fidelity Investments. He also sits with the board of Merivis Foundation, which offers training, mentorship and job place to transition veterans into tech-driven careers. Perez said there’s a rising number of websites and outlets where employers seek specific technical as well as organizational leadership skills that many veterans possess. Perez said he understands that many military veterans may feel like they have neither the proficiency nor experience to enter the tech sector. But those veterans can head to companies like Accenture, which has a San Antonio office. Accenture runs a program with a goal of hiring 5,000 U.S. veterans and military spouses by 2020. Trinity University alum Jonathan Lewis co-organized a meetup about improving healthcare via patient-centered design. Lewis is experience design director at Thinktiv, an Austin firm that offers various services for startups. Thinktiv’s research has found that many companies are seeing a disconnect between quality healthcare, operations of provider organizations, and meeting the needs of patients and clients. Thinktiv has outlined what it considers key measures of patient-centered care: respect for patients’ values, preferences and expressed needs; coordination and integration of care; information and education; physical comfort; emotional support; involvement of family, friends and caregivers; continuity and transition of care; and easier access to care. “We wanted to set up this meetup to create a conversation around what does it mean to be patient-centered, or human-centered,” Lewis said. Max Kilger, director of the University of Texas at San Antonio’s data analytics master’s degree program, talked about how governments and industries should understand the large impact that social and behavior issues have on hackers and cyber warfare. Kilger said the Trump administration underestimates this effect and that’s reflected in its national security policy statement: Only 31 times is the word “cyber” found in the 22,000-plus-word document. “Pretty sad, but it’s business as usual,” he added. The Russians’ cyber influence on the 2016 presidential campaign reveals a larger problem, Kilger explained. U.S. Rep. Will Hurd (R-San Antonio) made a few stops around SXSW, talking about empowering women entrepreneurs, improving foreign policy, and efforts to renew the North American Free Trade Agreement.